In front of Rockefeller Center (i.e. 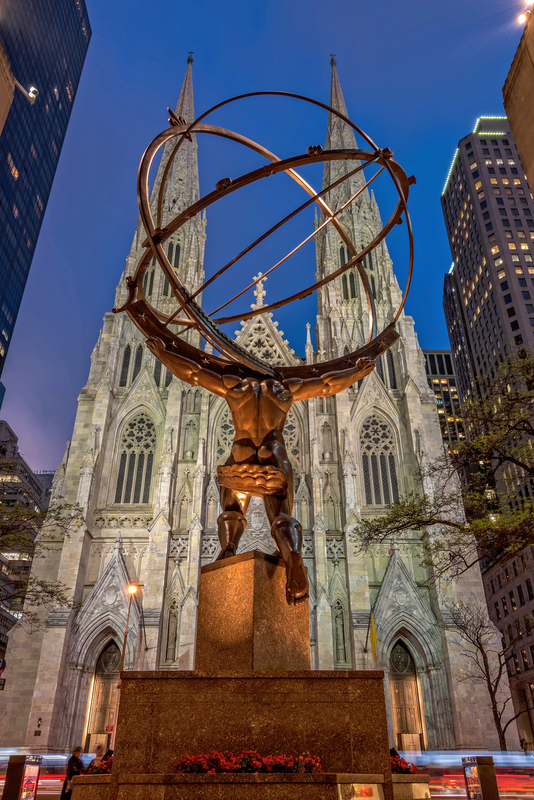 “30 Rock”) sits the “Atlas Statue” where Greek god Atlas is holding the universe above his head toward the heavens. Naturally, the statue is positioned directly across from the immaculate St. Patrick’s Cathedral. As I was taking this picture a tour guide was with a group and asked them ‘why the artist decided to position the statue in this location’ and the answer he gave was that it represented New York as the ‘center of the universe’. Off to LA (I’m going to try and take some pictures at the beach if I have time) and Minnesota this week. A lot of flying for a couple hours of meetings but at least I get a decent chunk of miles for it. The American Airlines announced changes today to their mileage program which would make this trip a little less enticing.